1-71 to Glencoe, turn left, go to stop sign and turn left onto US 127, then right on Old New Liberty. Looking for country living? 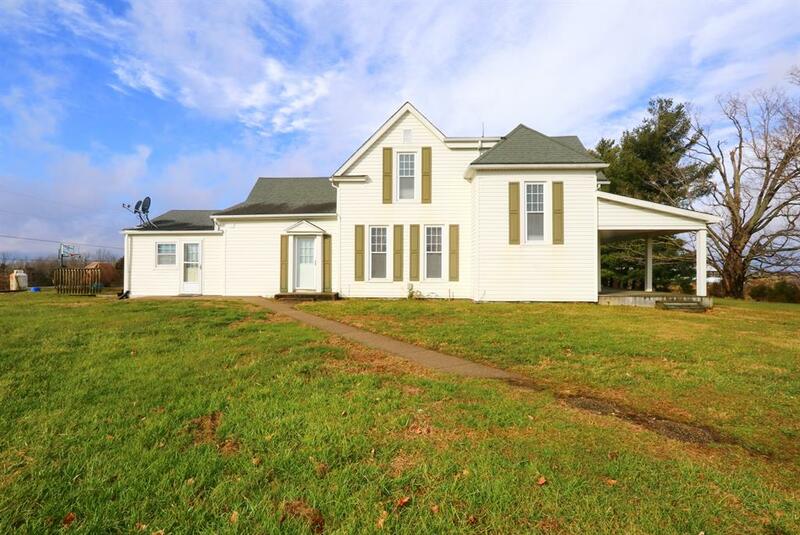 Welcome home to this well maintained farm house with 4 bedrooms and 1st floor Master Suite sitting on 40 beautiful acres with 2 barns and 2 ponds. Cost saving Geothermal heating, working propane fireplace in living room, huge laundry room and mudroom. Imagine your possibilities with farm living and beautiful panoramic view.